IMSI is a method of selecting spermatozoa according to their morphology, using high resolution microscopy (allows enlargement almost x 6000 times), compared to microscopy currently used. IMSI allows the selection of good morphology spermatozoa, indicating probably good genetic quality. This selection is performed by experienced embryologists. 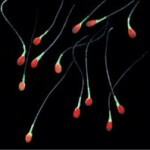 After selection, spermatozoa are injected into the oocytes using ICSI. 1. High percentage of sperm DNA fragmentation. 2. High percentage of morphologically abnormal spermatozoa (teratozoospermia). 3. Cases presenting with oligoasthenozoospermia. 4. Couples with a history of recurrent IVF failure or recurrent miscarriage.